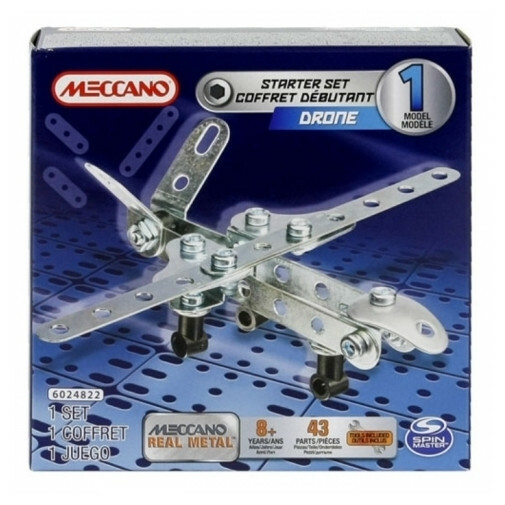 Challenge the boundaries of your imagination and have fun discovering the world of real engineering with Meccano. Develop logic and hand motor skills as you build and rebuild each vehicle, or design your own. 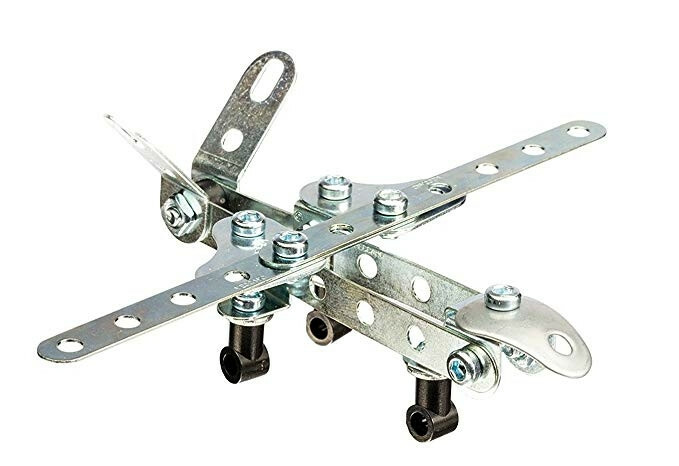 A metal starter set of a drone complete with 2 tools and instruction sheet. Warning! Choking hazard. Contains small parts which could be swallowed. Not suitable for children under 3 years.